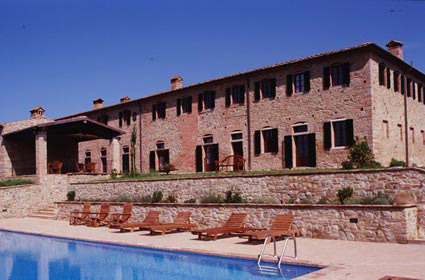 Volterra is a must for visitors who values the charm of beautiful landscapes and historic sites. Volterra, a true jewel of the Etruscan and medieval architecture, is located at top of a hill from where it dominates the whole Era valley. 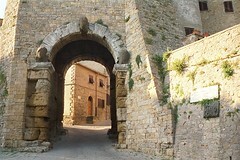 Volterra is rich in monuments and palaces, elegant facades, Etruscan and Roman arches, mysterious narrow streets. 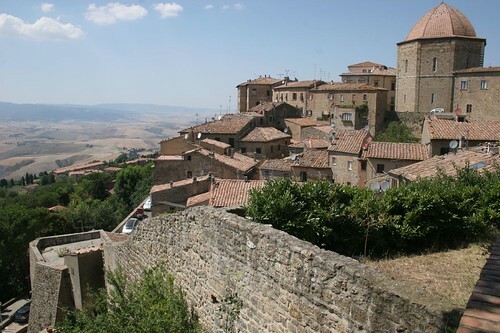 In a few words, Volterra is a city of rare beauty. The first evidences of human occupation are from the Neolithic. Under the rule of the Etruscans Volterra became a very important center, thanks to its wealth in mineral resources. The remains of the Etruscan period are located at the top of the hill of Volterra, where once the necropolis was. There can be still admired remnants of Etruscan walls, the foundations of two temples, and other smaller buildings from the third century before Christ. Even among the Romans Volterra was an important community. After the conquest by the Florentines followed a long period of decline, which lasted until the eighteenth century, when the family Lorena encouraged the revival of the local production. 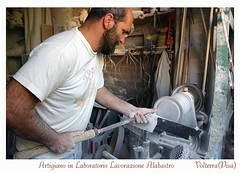 The most important handicraft is the processing of the alabaster. In the many workshops of the old city, the artists create unique masterpieces which are exported to the whole world. In the Alabaster Museum (Ecomuseo dell’Alabastro) there is to admire an unique exhibition, which documents the history, production, techniques and tools, which have been used for processing the alabaster over the centuries.